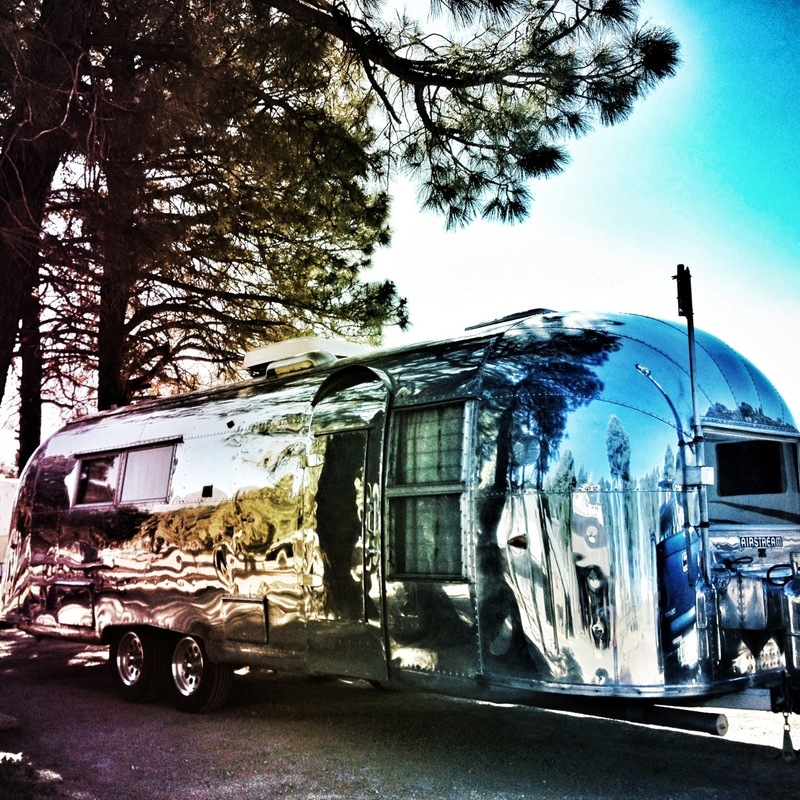 Trip back date – Arizona | 1960 Airstream Ambassador Blog! I thought I’d show some pictures from our cross country trip. We left CA for FL with no real plans or route. We just wanted to hit a few key places along the way. The first stop was courtesy parking with my nephew in southern California. It was a great visit and I got to meet my great nephew for the first time. 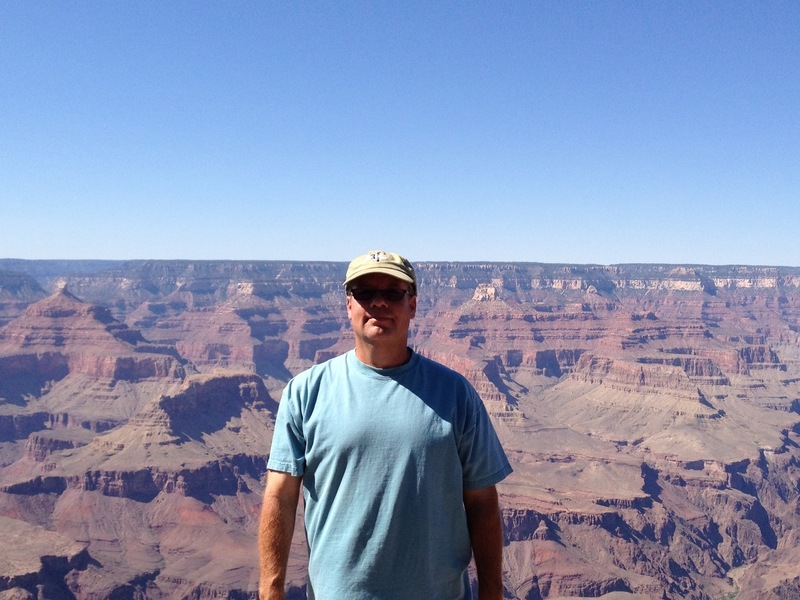 Next stop was the Grand Canyon. 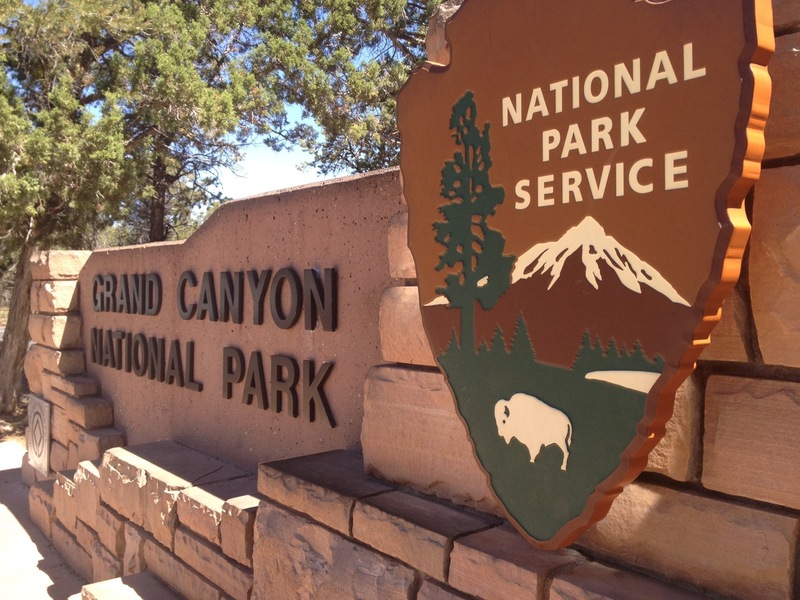 I had purchased an annual national parks pass which proved to be a wise investment as it granted us access to a few places this trip. 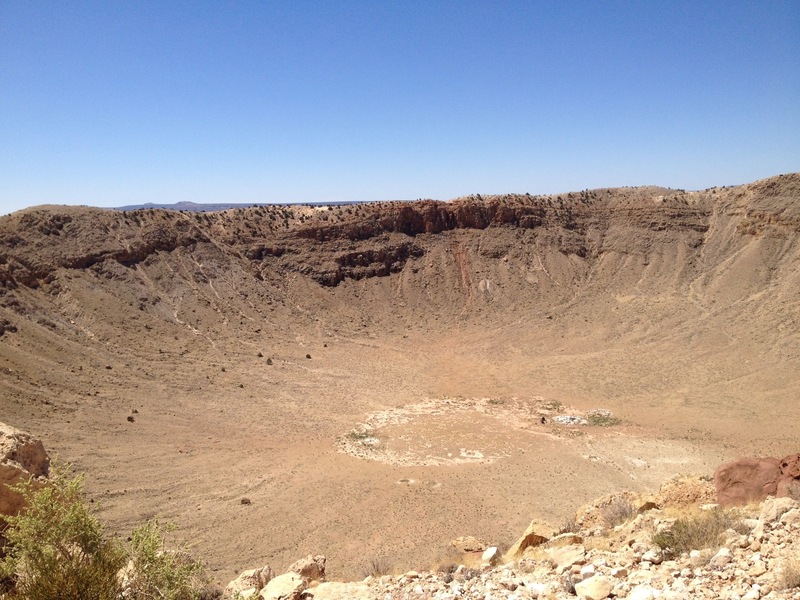 Next stop was the Meteor Crater. They had a nice campground right down the street from the crater exhibit. The Crater itself was interesting. I wouldn’t stay it’s a ‘must see’ but it’s a good one to check off your list. 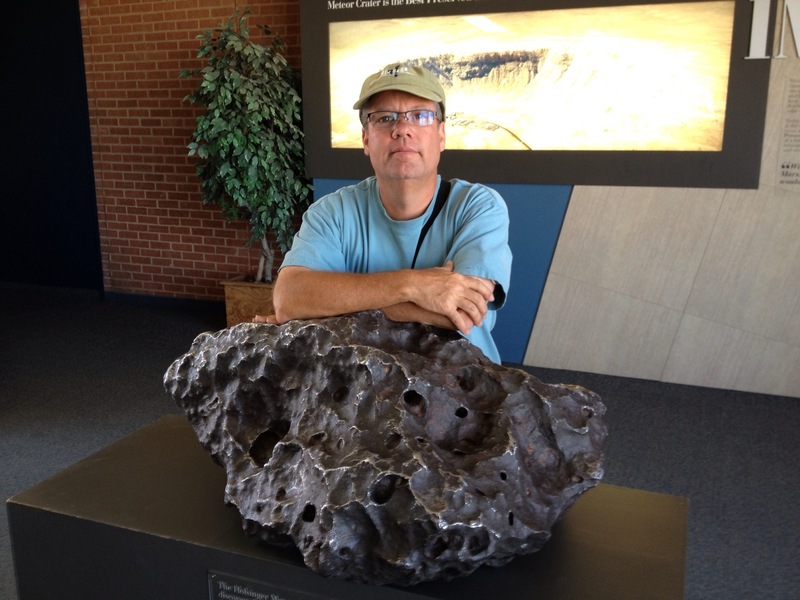 They told us this was a fragment of a larger meteorite that formed the crater 50,000 years ago. Well that’s it for this post and Arizona. Next post will be about New Mexico and little green men. This entry was posted in on July 9, 2012 by Tim. I think your airstream is the best ever!! I happen to have the exact same model and year airstream. This is my first time and I could sure use some pointers. I am located just outside Tacoma, Washington. I have polished several but this is my first one and I am completely restoring it. If you are willing, I would like to email you with a few questions. In return I will share what I’m doing with mine. Glen, You can email questions@thevap.com. I also recommend you check out our site http://www.thevap.com. Good luck! And Thanks!